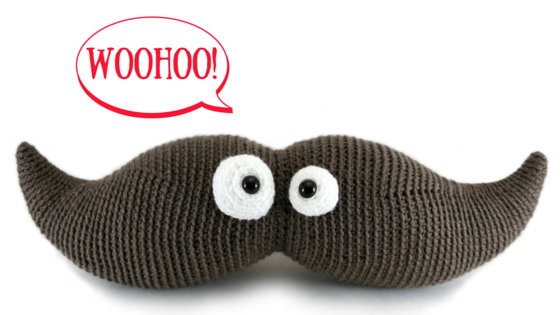 At the start of this month a great crochet-along (CAL) began on ravelry that is all about amis: the Ami-Along. Didn’t know about it until now? Don’t worry!! It is still going on and won’t stop until the end of August. Don’t know what a CAL is? Basically, a group of crocheters make the same thing (could be the exact same pattern, or simply a theme) and cheer each other on as they complete projects. Members of the group have fun sharing photos as they work on their projects, as well as a photo of their finished item so everyone can admire it! 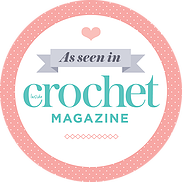 CALs are also a great place to ask any questions you might have about the specific pattern you are working on, or any general crochet questions. There are always people in a CAL group that are willing to help a fellow crocheter out, and have the know-how to do so, too. You can discover some great new designers by joining a CAL. This current Ami-along includes patterns from 14 different amigurumi designers (including myself). Some designers even have knit ami patterns, so really, it is a KAL (knit along), too. One of the best things about a CAL? The possibility of winning a prize! Many CALs include prizes for some of the lucky participants. There are a limited number of prizes, but the more projects you finish and share to the group, the greater chance you have of winning one. I know for this Ami-along, there are many many patterns to win, as well as some physical items that will be mailed out. You could win a hookabee pattern if you join in! So if you love making amigurumis and plan on making some this summer, head on over to ravelry and join the Ami-along group! There are already over 250 members and more joining every day. Some members have already started sharing their hookabee creations!